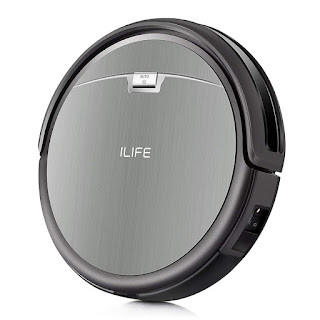 Head over to Amazon and score this ILIFE A4s Robot Vacuum Cleaner for just $119.99 shipped when you clip the $50 off coupon. This vacuum has multiple smart sensors to avoid bumping around or falling off stairs. It will clean for up to 140 minutes before automatically returning to its dock and charging itself. It includes the ILIFE A4s robot vacuum, remote control, charging dock, AC power adapter, cleaning tool, extra set of high-performance filters, extra set of side brushes. It also includes a worry-free 12-month warranty.